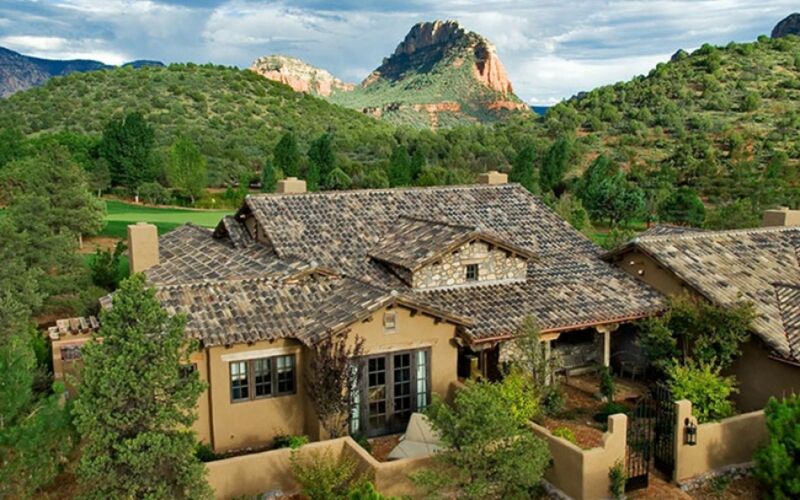 Sedona is one of North America's premier tourism, recreation, resort and art centers. 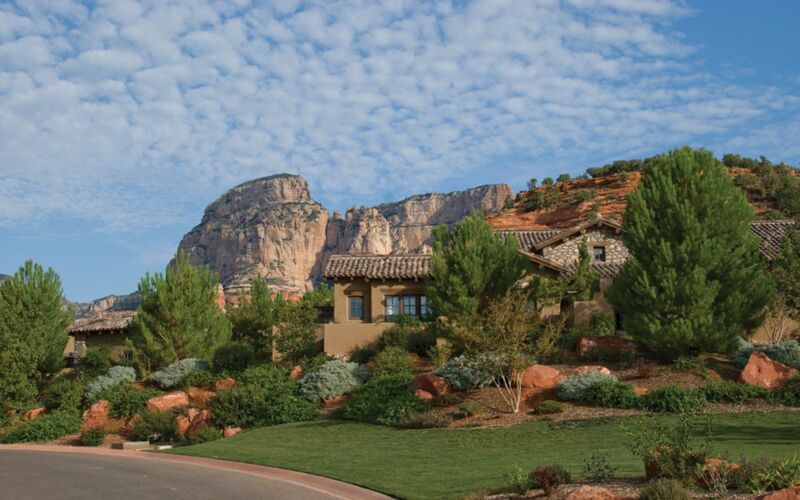 First-time visitors often ask, "Is there no end to Sedona's attractions?" 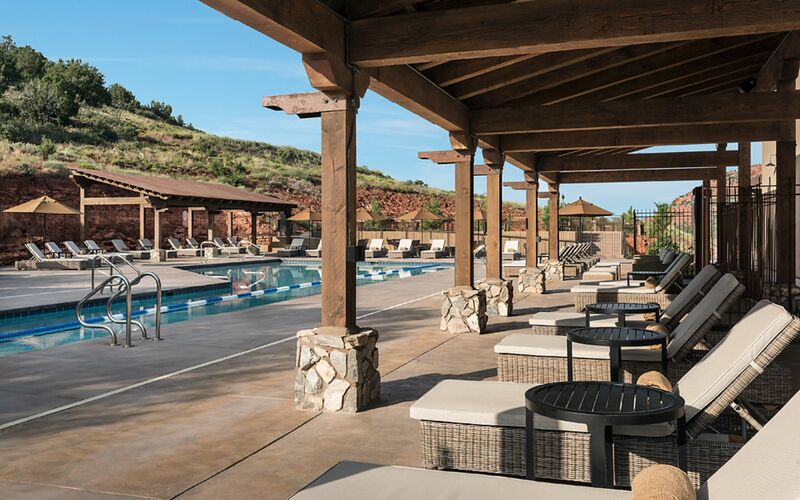 Located in Arizona's high desert under the towering southwestern rim of the vast Colorado Plateau, Sedona is blessed with awe-inspiring red rock vistas and an inviting year-round climate conducive to adventure, recreation and inspiration. 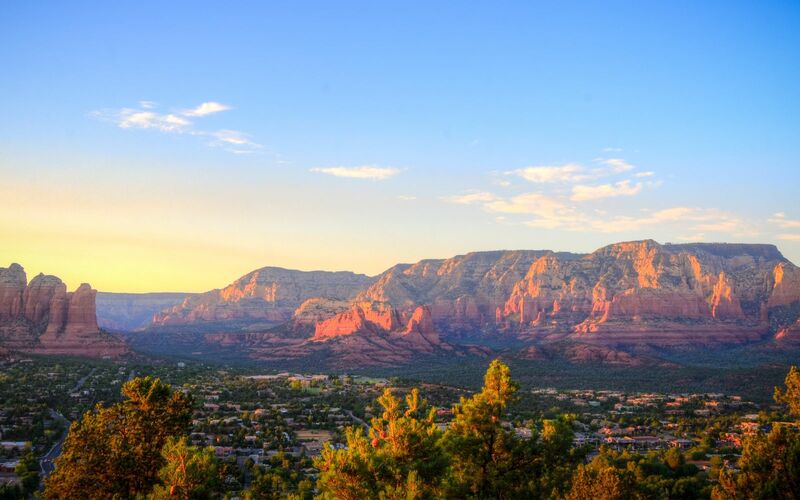 People from all parts of the globe come to Sedona to bask in its beauty and view its famous Cathedral Rock, touted as the Eighth Wonder of the World. 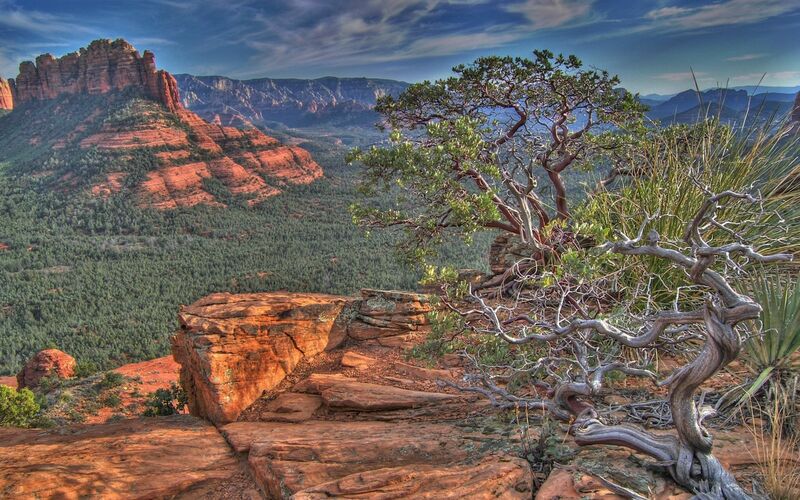 Outdoor enthusiasts will discover amazing hikes on Sedona's extensive network of trails Mountain bikers have access to their own designated trails. Discovering Red Rock Country on horseback is an especially popular and rewarding adventure. 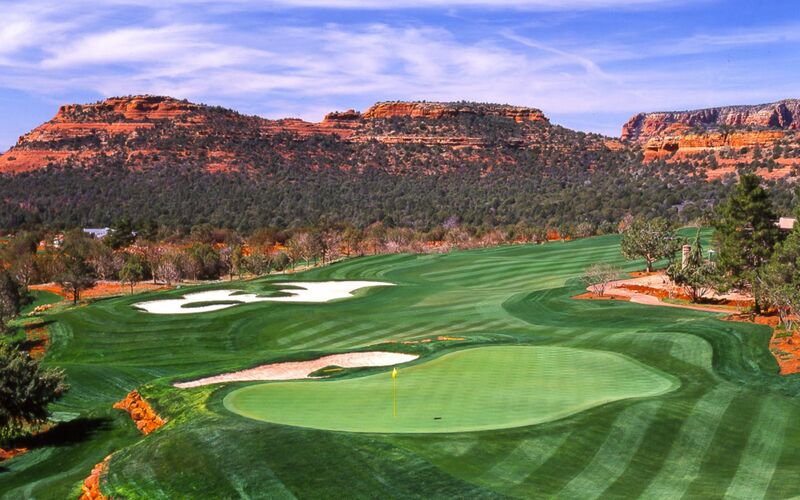 Golfers can choose from an enviable selection of area courses framed by Sedona's majestic scenery. Those fortunate enough to gain access to Seven Canyons will be dazzled by one of the most dramatic settings in all of golfdom. 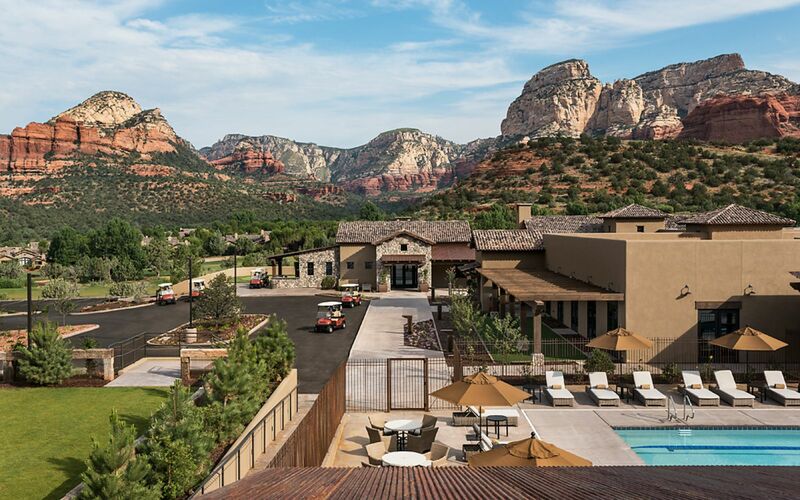 Sophisticated travelers are drawn to Sedona's art galleries and shows, musical and theatrical performances, state parks, national monuments, sacred spiritual sites, personal enrichment activities, annual festivals, and many other special events amid a spectacular backdrop. 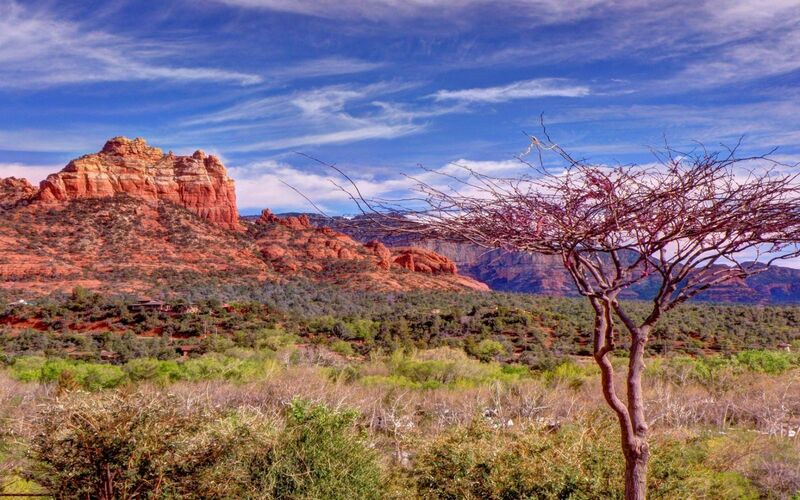 Spring and fall continue to be the most popular tourism months in Sedona with daily highs in the mid to high 70s and nightime temperatures sometimes dropping about 30°F. This makes for perfect hiking weather or for time relaxing by the pool or hot tub. Average rainfall ranges from a half inch to less than two inches during any given month, so the chances of needing your umbrella are extremely unlikely. Rainfall 1.9 in. 1.6 in. 1.5 in. 1.1 in. 0.6 in. 0.6 in. Rainfall 1.9 in. 2.4 in. 1.0 in. 1.6 in. 1.1 in. 1.5 in.